Our increasingly digital world needs new payment methods. However, the peculiarities of electronic systems make the transformation of traditional payment methods into corresponding electronic forms a process that requires thorough design. Electronic payment systems inherit many issues from their traditional ancestors, such as protection against stealth, counterfeiting, and other money crimes such as bribery and money laundering. In addition, electronic payment systems raise new issues, emerging from their electronic nature, relating security, privacy, efficiency and flexibility of use. Various electronic payment systems are being used, or have been proposed in literature. These can be classified according to different points of view, such as the ability to perform payments without connection to a third party during the payment transaction, or depending on payment instruments which are either check-like account-based or cash-like token-based instruments, or being efficient for repetitive very-small-valued payments. Cash is absolutely the most common traditional form of payment; the number of payment transactions performed using cash outnumbers the sum of all payment transactions using other payment systems thousands of times. The main reason behind this unparalleled publicity of cash payments is the ability to use cash without contacting a third party, such as a bank, to authorize the payment transaction. Moreover, the transferability of coins for multiple times enables the recipient of a coin to reuse it directly in further payment transactions without contacting a third party to authorize the previous payment transaction of the coin. Consequences of this transferability include the high degree of privacy provided by cash, and the extreme efficiency of cash payments due to avoiding the need for a third party to be involved in every payment transaction. Although some electronic cash schemes are already in effect, each of them achieves some of the desired advantages of physical cash at the cost of other advantages, in a way that is far from being optimal. level of electronic cash. Therefore, a new electronic payment scheme is developed in this paper, based on a carefully selected set of the best techniques used in existing electronic cash schemes, in addition to a set of new techniques that increase the effectiveness of scheme security, increases its robustness and achieve a reasonable level of privacy, which could not be achieved by any existing scheme without endangering the required level of security. 1- A preventive technique based on special tamper-resistant devices that reside in users' wallets to monitor spending and authorize only legal transactions. 2- A deterrent technique based on public-key signatures, in which every payer signs the paid coin using the payer's private key, such that the signature represents a clue used by the recipient to prove the ownership of the received coin. This technique doesn't prevent illegal payments, but deters criminals by identifying them after the fact and proving them guilty. This technique works as a final defense line to limit the losses in case of breaking into one of the tamper-resistant devices. This technique includes black lists that enlist identities of double-spenders and counterfeiters, kept by users and automatically updated upon contact with the bank, such that no payments are accepted from black listed identities. The integration of these preventive and deterrent techniques has been used in one of the most successful electronic cash schemes, but hasn't supported transferability. So, transferability is added to these two techniques using a well-known technique called chained signatures, in which every payer appends his signature to the signature chain attached to the coin. By analyzing the consequences of the new techniques, they are found to have the advantage of reducing the expected period before detection of crime proportionally with the amount of counterfeit or doubly-spent coins, which makes that the deterrent technique more effective in securing the scheme against double-spending and counterfeiting. The proposed scheme presents a solution to the privacy issue raised by the usage of the chained signature technique. The conventional chain contains the identity of each recipient along with the signature of the payer such that the payer insures that no one other than the recipient can claim ownership of the paid coin through the same payer and hence charge the payer with double-spending. Our novel solution is called arbitrary identity blinding, and simply makes each payer hide a random portion of a predetermined size of the identity of the previous payer before signing it and passing it to the recipient. A special procedure is proposed to identify double-spenders and counterfeiters from the partial identities in the signature chain. The paper thoroughly analyzes the effects of arbitrary identity blinding on privacy, security and efficiency. Also, another suggestion to mask out some of the signature bits to increase privacy level is studied hastily, showing the privacy gains and the security losses incurred. The proposed scheme also adds the notion of tentative coins, to increase transaction robustness against communication interruption. Analysis, as well as simulations, shows that the proposed electronic cash scheme promises a potential competitive alternative to traditional cash. Prof. Samir I. Shaheen, Professor of Computer Engineering, Faculty of Engineering, Cairo University, Egypt. He was born in Egypt in 1948. He obtained his B.Sc. and M.Sc. in Electronics and Communication Engineering, Cairo University in 1971 and 1974 respectively. In 1979, he received his Ph.D. from McGill University in Computer Vision. His main research activities are concerned with Knowledge Engineering, Computer Vision, Intelligent Systems and Computer Networks. Prof. Shaheen is the chairman of IEEE Egypt Section and is a member of ACM, and the Egyptian Society for Engineers. He is the founder of Cairo University campus wide optical fiber network and the automation of Cairo University information systems. 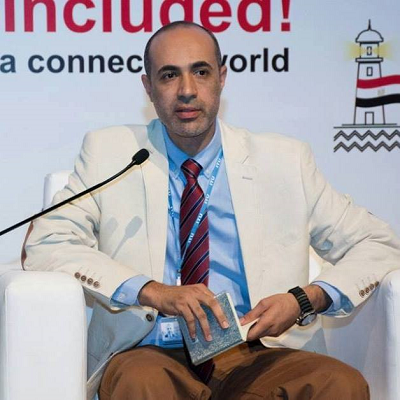 He is also a member of the Egyptian Science Academy for the board of Communication and Information Technology and the Chairman of the Information Technology Section. Prof. Shaheen worked for UNESCO and the Ministry of Communication and Information technology for several projects in E-Learning/Training. He is the founder for the E-Learning Initiative in Egypt in the Ministry of Communication and Information Technology. He was the director of the Telemedicine project in Egypt. He has several projects with the European Union in GIS and E-Learning. He has more than 95 scientific papers published in International conferences and journals. Just as machines made human muscles a thousand times stronger, machines will make the human brain a thousand times more powerful. — Geoffrey Hinton, A.I. Versus M.D. the ability of computers to learn from data how to replicate and improve human predictions and decisions. Consuming a variety of data to produce actionable insights leading to lower cost and more effective healthcare outcomes. 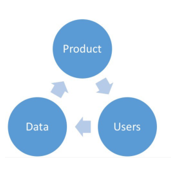 The best products have the most users, and the most users usually means getting the most data, and with modern ML, the product becomes better. a shopping Mall + website does not equal Internet Company . 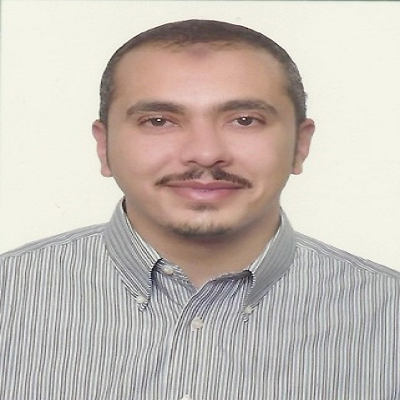 Refaat Mokhtar Mohamed, PhD Senior Software Engineer, Robotics Diverey Care Inc, USA . Bio: Refaat Mohamed is a senior software engineer of robotics at Diversey Care Inc. He is working on the architecture and development of the next generation autonomous floor-cleaning robots, utilizing cutting edge software techniques and sensor technology. He worked as a research scientist of machine learning and intelligent systems at the Computer Vision and Image Processing Laboratory, Louisville, KY, USA. 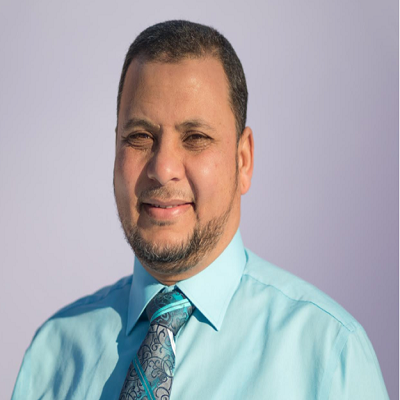 Prior to joining Diversey, Dr. Mohamed was the chair and professor of Electrical Engineering Technology at ITT Technical Institute, Richmond, VA, USA. He spent 15 years teaching Electrical and Computer Engineering classes at the under- and post-graduate levels with different institutions: Assiut University, Egypt, University of Louisville, KY, USA, Western Kentucky University, KY, and ITT Technical Institute, USA. With over 25 peer reviewed papers, Dr. Mohamed research interests include Machine Learning, Automation, Robotics and Sensor Fusion. Refaat earned his PhD in Pattern Recognition and Machine Learning from the university of Louisville, KY, USA, Master in Intelligent Robotics from the University of Assiut, Egypt. He is a senior IEEE member, trainee at Siemens, SCE Automation Fundamentals Certification Test: PLC-2015, active evaluator with the ACICS (Accrediting Council for Independent Colleges and Schools) “acics.org”, certification examiner with the Electronics Technicians Association “eta-i.org”. The electricity grid is one of the most complex systems ever created and the lives of billions of people all over the world depend heavily on it. The 20th century electricity grid which cover vast areas, are weakly instrumented and generally lack significant control equipment, but was able to sustained a reasonable reliability and minimum customer active participations especially at the generation side. The term smart grid has emerged in recent years to represent the evolving transformation of electrical grids for the 21st century. It is the modern grid with a proliferation of control elements with accompanying ICT infrastructure. The main drive for this modern grid is the concerns of climate change. This grid has to face the challenges of increasing connections of variable renewable generation, such as wind generation and photovoltaic (PV) generation, the shift in the role of the system electricity consumers to become producers (prosumers), the infiltration of the new energy resources such as electrical storage and active demand side management and the penetration of the electric vehicles as a new load for the grid. On the regulatory side, policy makers ponder how this smart grid can be facilitated by regulatory changes which encourage market led innovations, become open to new stakeholders, technical improvements and business models. Consequently the new smart grid is changing the electricity grid from being a mostly passive and reasonably well understood network of consumers to an active network of generators and consumers. The developing countries electricity grid is characterized by constrained generation resources,high rate of load increase, extremely limited monitoring and communication equipment and severe shortage of budget allocations. The smart grid adoption in developing countries has to realize all these limitations and propose the best solutions to achieve this new sustainable energy systems operation of the electricity grid. The talk will shed some light on these solutions and explores the use of novel methods to implement smart grid concept for the electricity grid in developing countries. Magdy Salama: received the B.Sc. and M.Sc. degrees in electrical engineering from Cairo University, Cairo, Egypt, and the Ph.D. degree in electrical engineering from the University of Waterloo, Waterloo, ON, Canada. Currently, he is a Professor in the Department of Electrical and Computer Engineering, University of Waterloo. He was the founding Director of the University of Waterloo Campus, Dubai, UAE . Magdy Salama is internationally recognized as an eminent researcher in the electrical energy systems. Results of his activities in distribution system planning and operation have become guidelines to many researchers in North America and Europe. His interests include the operation and control of distribution systems, smart grid, renewable energy sources, energy storage, distributed generation, asset management and risk analysis, power‐quality analysis, and electric safety. Dr. Salama’s innovative research has been leading academia and industry worldwide, and will lead to new technology in electric engineering. In 2002 he was elected a Fellow of the Institute of Electrical and Electronics Engineers. In 2014 and 2006 he received the Awards for Excellence in Research, University of Waterloo. In 1985 he received the Egyptian State Prize in Science. For the last 8 years, the NTRA has been working closely with universities to support research teams working in many Egyptian universities working in applied telecom related challenges. Therefore, the NTRA has developed a big network with different research centers all over Egypt. In this talk, we will discuss many of the previously and currently supported projects by the NTRA. The talk will highlight the different domains that were supported, the outcomes of the projects, how the projects were chosen, and how all researchers can benefit from the NTRA network. The main objective of the talk is to establish more links between the researchers attending the conference and all other researchers in the NTRA network. It will also highlight how such teams have managed to get supported by the NTRA and the different factors that can help increase the possibility of being supported. Dr. Omar A. Nasr received his B.Sc. degree with honors from Cairo University in 2003. He received his M.Sc. in the ﬁeld of speech compression from Cairo University in 2005. In 2009, he received his Ph.D. degree in the ﬁeld of Wireless Communications from the University of California at Los Angeles (UCLA). His Ph.D. research was in conjunction with Silvus Technologies, where he worked in the development and testing of 802.11n MIMO-OFDM systems. His work included doing field trials for the developed radios and characterizing their performance in different environments. He joined Cairo University in 2010, where he is currently an Associate Professor at the Electronics and Electrical Communication Department. He worked in projects funded by the STDF, ITIDA and the TEMPUS European program with partners from Egypt and different European countries including the Netherlands, Italy, and Austria. He has diverse research interests covering the topics of video processing, networking, implementation of signal processing blocks and IoT. He was one of the core team that initiated the professional MSc program at the Electronics and Electrical Communications Engineering department. This new program, that was launched in Fall 2014 is completely sponsored by the Egyptian industrial partners. Dr. Nasr is also a part of the R&D team in the Egyptian National Telecommunications Regulatory Authority (NTRA). He is a research scientist in an ambitious program to stimulate research activities in the ﬁeld of telecommunications in the Egyptian universities and research institutes. He took funding decisions in projects that worth more than 50 million EGP. He is actively following up the running projects that cover many telecommunications areas including smart grids, cellular networks optimization, smart irrigation systems, software defined radios, Internet of Things and others. As is well known, the features of the smart grid includes (i) absolute reliability of supply, (ii) optimal use of bulk power generation and storage in coordination with distributed resources to assure lowest cost, (iii) minimal environmental impact of electricity generation and delivery, (iv) increase in the efficiency of energy generation and delivery systems, (v) resiliency of supply from physical and cyber attacks and major natural phenomena, (vi) assuring optimal power quality for all consumers and (vii) monitoring of all critical components of the power system to enable automated maintenance and outage prevention. This talk is aimed at pinpointing some of the above-mentioned features of the smart grid to improve the performance of power delivery and generation systems in the Arab world. The first objective of the talk is to report on how to mitigate the pollution resulting from the generation system before emission into the environment. The second objective is devoted to explore how to increase the energy efficiency of the power delivery system. The third objective is to shed light on some sophisticated techniques for monitoring and diagnosis of a critical component in the power system to extend its life. Mazen Abdel-Salam was born in Egypt. He received the B. Sc., M. Sc. and Ph. D. degrees in Electrical Engineering in 1967, 1970, and 1973, all from the University of Cairo, Cairo, Egypt. He served a Professor of Electrical Engineering at Assiut University (Egypt), University of Jordan (Jordan), Michigan Technical University (USA), King Fahd University of Petroleum and Minerals (Saudi Arabia) and Toyohashi University of Technology (Japan). He had short and long research fellowships at different universities in the UK, Germany and Japan. He is a coauthor of High Voltage Engineering-Theory and Practice (New York: Marcel Dekker, 1990 and 2000). He is a Fellow of the IEEE (USA), Fellow of IET (UK), Fellow of IOP (UK), Fellow of AvH (Germany) and Fellow of JSPS (Japan). 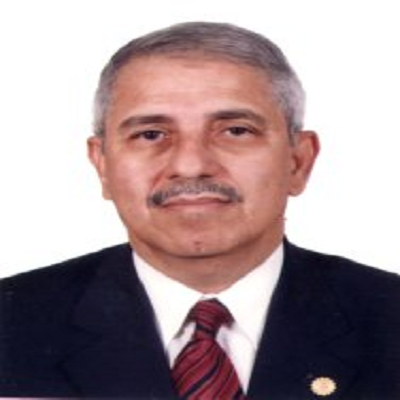 He is currently an Emeritus Professor at Assiut University, Assiut, Egypt. Dr. Fadel Digham is the Executive Director of the Research and Development (R&D) at the National Telecom Regulatory Authority (NTRA) of Egypt. Co-founder and member of the steering committee of the IoT forum in Egypt. Research Scientist at Nile University and Instructor at both Cairo University and Alexandria University. Co-chaired the Spectrum Management group at the Development Sector of International Telecommunication Union (ITU-D). Was a member of the Industry Advisory Board of the IEEE WCET. Anas Abdelhafez is the Infrastructure Developer Manger at the National Telecom Regulatory Authority” NTRA” with expertise in design, plan and manage implementation of telecom network infrastructure. Anas believes that a proper planning of a modern and comprehensive infrastructure is the key to a sustainable, smart city. We are in an era where everything and everyone is being connected to the network, thus increasing its perceived value. However, the true work only starts when we connect our “things” as we need to consider how to maintain, manage, scale and most importantly secure our network! During this session, we will deep-dive on 3 of the most common and critical offerings of the Cisco Networking Academy: CCNA Routing & Switching, CCNA Security and CCNA CyberOps. We will be covering their relevance to the market through industry certifications, course structure, practical aspects and finally give all audience access to use a powerful simulator tool, Cisco Packet Tracer. Bio: Marc Khayat is one of the many success stories of the Cisco Networking Academy. He started in 2001 with being a CCNA student followed by Security and CCNP. He began teaching NetAcad courses in 2007 to students and instructors while being involved in the industry as a Network Consultant and a Telecom Engineer. He joined Cisco in 2011 as a Technical Manager for Cisco Networking Academy, covering Middle East and North Africa region, and holds a Master of Engineering in Electrical & Computer Engineering and a CCIE in Routing & Switching. 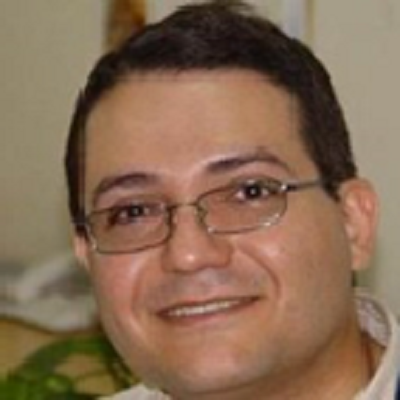 Mohamed Abu Sedera is the Corporate Social Responsibility Manager for Cisco Networking Academy covering Egypt. Mohamed has more than fifteen years of professional experience working for public, semi-governmental entities and international company. He holds a track record in coalition building, partner management, strategic planning, investments promotion, and program development and implementation. Acquired MBA from Maastricht School of Management in the Netherlands. Fluent in Arabic and English. Passionate about photography, traveling and Scuba diving. Cognitive radio (CR) is a smart dynamic spectrum access system that mitigates the spectrum scarcity due to the recent tremendous growth of wireless devices and applications. The main idea is to create unlicensed (secondary) networks that coexist with licensed (primary) networks in order to enable additional users without disrupting the licensed network operation. CR operates in three different strategies called underlay, overlay and interweave. The CR strategies are designed to access the licensed spectrum using some side information such as channel conditions and communication traffics. Throughout this talk, the signal design aspect is discussed to improve the CR operation while keeping acceptable quality-of-service at the primary network side. Symmetric signals are adopted in different communication systems inspired by the fact that the circularly symmetric or proper Gaussian signaling (PGS) scheme maximizes the achievable rate performance of point-to-point communication channels under additive white Gaussian noise. However, PGS is not the optimal scheme in interference-limited networks such as CR systems. PGS scheme assumes independent in-phase and quadrature signal components with equal power. On the other hand, asymmetric or improper Gaussian signaling (IGS) scheme relaxes these assumptions. To investigate the benefits of employing IGS in different CR systems, the performance limits in terms of the achievable rate and outage probability of both licensed and unlicensed users are analyzed for different CR strategies. Moreover, the statistical signal characteristics of the IGS are optimized to improve the spectrum sharing opportunities for CR systems while satisfying the licensed network operating conditions. Biography: Osama Amin received B.Sc in electrical and electronic engineering from Aswan University in 2000, M.Sc in electrical and electronic engineering from Assiut University in 2004 and Ph.D in electrical and computer engineering from the university of Waterloo, Waterloo, ON, Canada in 2011. 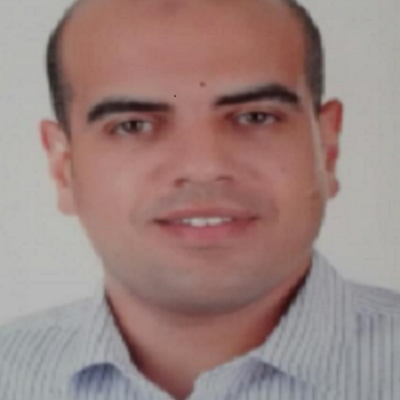 He joined the electrical engineering department in Assiut University as an assistant professor in 2012. Currently, he is a research scientist in the Computer, Electrical, and Mathematical Sciences and Engineering (CEMSE) Division, King Abdullah University of Science and technology (KAUST), Thuwal, Makkah province, Saudi Arabia. His general research interests lie in communications systems and signal processing for communications with special emphasis on wireless applications. Specific research areas include green communications, cognitive radio, cooperative communications, full duplex, visible light communication, terahertz communication and molecular communication. 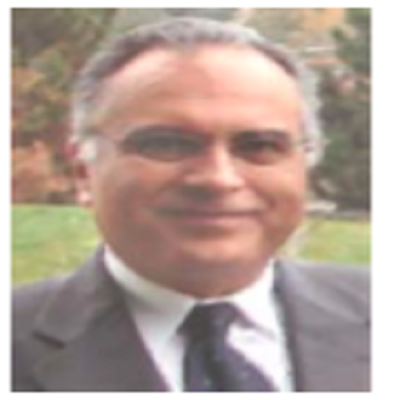 Dr. Amin is a senior IEEE member and an associate editor of the IEEE Communication Letters. He has served as a Technical Program Committee Member of the ICC, GLOBECOM, the IEEE VTC, the CROWNCOM, the PIMRC, and the ISSPIT conferences. He has served as Co-organizer and a Co-Chair of the Next Generation Green ICT and 5G Networking (GreeNets) workshop in the IEEE International Conference on Ubiquitous Wireless Broadband (ICUWB 2015) in Montreal, Canada and ICUWB 2017 in Salamanca, Spain. In addition, he is the co-organizer and co-chair of Enabling 5G to support Vertical Industries (E-5G) workshop in concurrent with the 13th International Wireless Communications and Mobile Computing Conference (IWCMC 2017) in Valencia, Spain. Eng:Bassem Boshra, CEO & founder of SpimeSenseLabs a company specialized in IoT applications through MasterOfThings IoT AEP, ITI consultant and also SigFox ambassador in Egypt and the Arabic region. Eng. Bassem Boshra has 20 years of Professional career path in Software industry in multinational Telecom network provider and multinational Banking solutions provider with a globally recognized certifications & Awards and supported by multiple professional postgraduate studies. Eng. Bassem has graduated from faculty of Electronic Engineering in 1995. Before graduation he has gained many prizes in software development from international magazines (PC World). As recognition of his early achievements in Software development, he has been awarded, by the head of Cabinet IDSC (Information Decision Support Center), a scholarship in ITI in 1996. He has graduated from ITI Intake 8 with a pioneering graduation project “Haneen” that he developed with two of his colleagues. Haneen was the first social media portal on the internet and it was dedicated to serve Egyptians living abroad. Haneen gained lots of internationally recognized awards including best Arabic web site on the internet in 1997 and finalist award in “Stockholm Challenge” as best social and community service web portal in 1999. Since his graduation, he has been working in Software development creating applications to serve individuals, companies and corporates taking various ranks in different organizations. He has worked in ITI as web application development instructor until 1998. In 1998, He joined in NCR “National Cash Register” as internet banking developer where he developed the 1st internet banking application in Middle East for Bank Misr in 1999, then the platform was sold to many banks in the Middle East. He joined Ericsson in 2002 as an Expert for mobile internet software development then took various leadership roles in Ericsson North Africa until 2007 when he established Ericsson Software development center, known as CAC, that invented CADE (Customer Adaptation Deployment Environment) software platform that is being used in many mobile network back- end systems. CADE platform has been added to Ericsson portfolio and sold to many mobile operators world-wide and still serving millions of mobile subscribers managing their prepaid credit balance, credit and rewards points. In 2009, Eng. Bassem became the regional director for Multimedia innovation centers in Africa and lead Egypt center to become a world-wide delivery organization in 2010. In 2013, Eng. Bassem decided to establish his own company “SpimeSenseLabs” that is specialized in developing Internet of Things applications and invented the IoT platform MasterOfThings in cooperation with ITI. SpimeSenseLabs is also cooperating with ITI to build highest calibers with IoT competences for ITI graduates who will build IoT industry in Egypt and rest of the Arabic world.